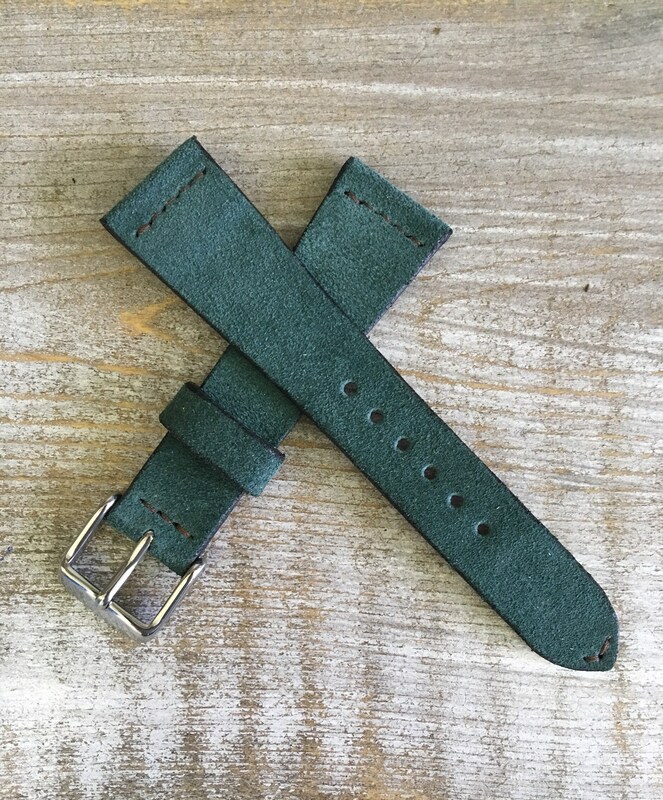 This strap is made from the finest Italian suede leather made in sunny Tuscany. The strap is about 2mm thick but heavenly soft, almost delicate. 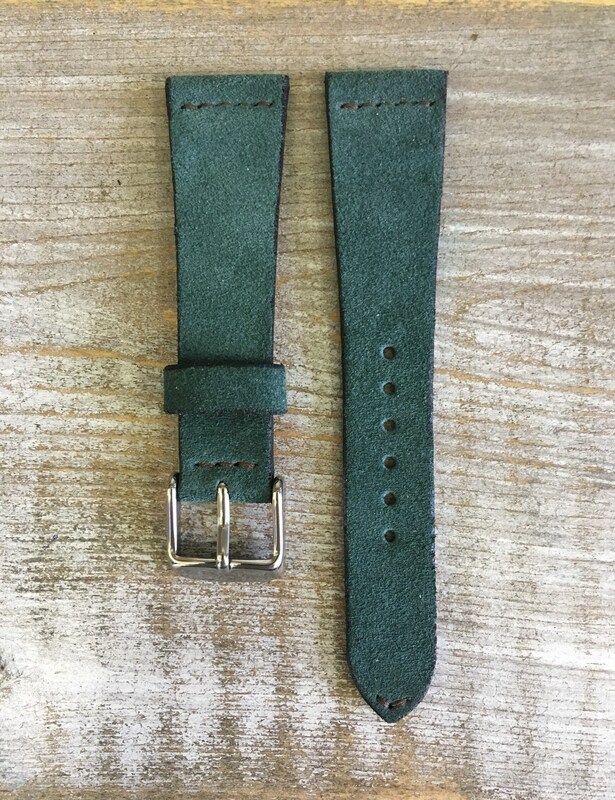 Lined with soft horse veg tan. Wrist comfort guaranteed!